"Great Middle Eastern-style smoothie. You can substitute any milk for the almond milk." Blend almond milk, avocado, banana, ice, and honey in a blender until smooth. 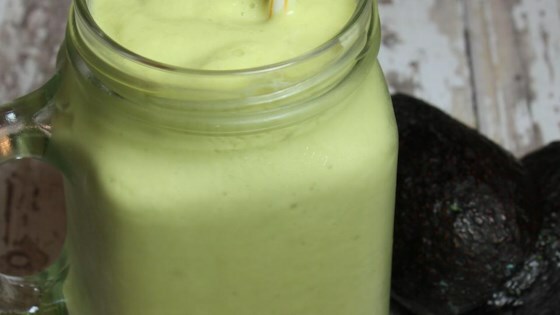 Orange juice, avocado, milk, and honey make up this creamy, healthy smoothie! This was the worst....it has a strange taste. I follow the recipe. My hubby and I split one, and neither of us could finish it. so sorry. Thanks, Happy Cooking! It was okay but very bland . I loved how creamy it was though , right up there with milk shakes but was just missing something . I added some barley green and some powdered vitamin C just for good measure. It was delicious and satisfying.